Tidy Mart a well knows International Trading company which deals with Magnetite Iron Ore-Fe3O4. We have wide network and good business relationships with, mine owners, traders, exporters and logistic company. We are team of people who have expertise in this Magnetite Iron Ore field. We have tie up many mine owners to procure different grades of Magnetite Iron Ore-Fe3O4, it various Fe57% to Fe64%. Magnetite Ores are liter than Hematite ores and therefore requires considerably less energy to crush and grind if beneficiation is required. Tidy Mart's extensive relationship helps our clients to work with acknowledged expertise in this Industry. Through our wide network, certainly we are fulfilling our client's requirements interms of Timely Delivery along with Quantity and Quality. Tidy Mart consortium will support for the entire activity in this Magnetite Iron Ore trade, and support the buyers to meet out their Magnetite Iron Ore-Fe3O4 requirements. 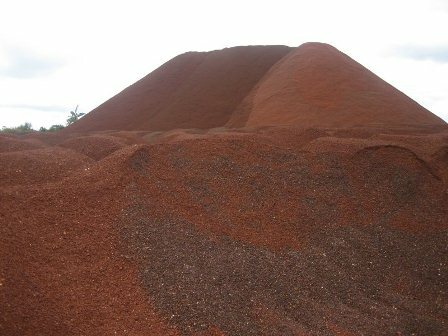 Further if you have any quires related to Magnetite Iron Ore imports, kindly mail us with your entire requirements in details. We will discuss with our team members to fulfill your Magnetite Iron Ore Fines-Fe3O4 requirements, and we are happy to assist you.